Butter chicken, tandoori chicken, samosas, pakodas, kebabs, dal, idli, biryani, curry - mouth watering? 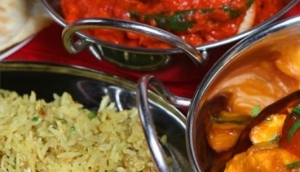 Go ahead and check out one of the mnay Gold Coast Indian restaurants. There's an abundance of Indian restaurants on the Gold Coast, featuring delectable, authentic cuisine and beautiful, traditional decorations. And if you've had a big day and want nothing more than to relax in the privacy of your own room, many of the restaurants offer take-out as an option.